EnergyCAP Enterprise is designed to be the best energy information software available for total integration and management of an organization's diverse utility bill and energy management needs. 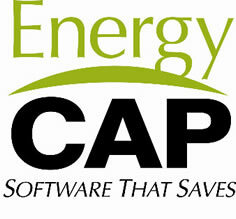 In 2008, EnergyCAP licenses passed the 1,000 mark and user logins exceeded 5,000. 2009 will increase these numbers even more. In competitive software procurements, EnergyCAP is most frequently the software of choice for professional energy and facilities managers who need the best possible energy management and cost reduction software. Your NEC Consultant will provide a live DEMO for you upon request. Verification of utility bills. EnergyCAP's exclusive Bill Auditor checks each bill for reasonableness 50 ways! Energy, cost and savings reports. Over 200 reports, each with extensive filtering options. Save time with report Favorites and Batch reports. Cost avoidance results. EnergyCAP calculates the cost avoidance (dollar savings) attributable to energy management activities, in accordance with the international standard for performance contract measurement and verification. Energy efficiency. It's often said that you can't control what you can't see. Enterprise lets you see quickly and easily a total picture of your organization's energy cost and consumption, the first step to energy efficiency and cost reduction! ENERGY STAR benchmarking and energy ratings. EnergyCAP Enterprise’s interface to the ENERGY STAR Portfolio Manager submits your building data to ENERGY STAR in order to benchmark your buildings and rate their energy performance.